The Urban Cricket Free Lock Utility Tool is small compact and easy to carry right in your pocket. You can attach a carabineer and put it right on your keys. This multi-tool has several functions. The Urban Cricket Free Lock Utility Tool is small compact and easy to carry right in your pocket. You can attach a carabineer and put it right on your keys. This multi-tool has several functions. 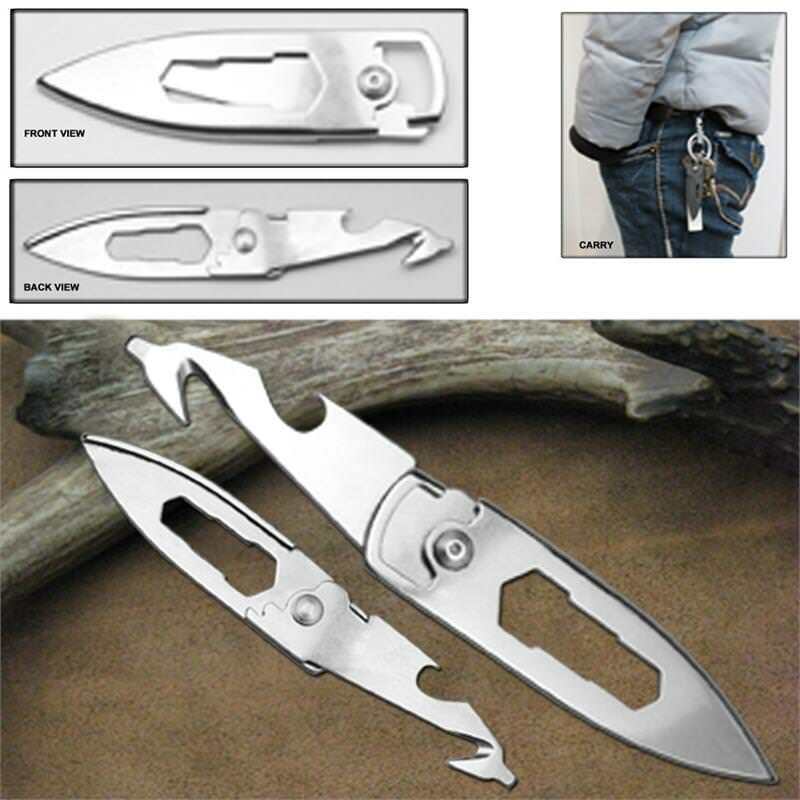 There is a rope or seat belt cutter, a flat head screw driver, and bottle opener. Another great option is the blade folds right into the handle. This is a great tool to have when you are in a pinch. Keep it on your person at all times.